If you’re looking for a fun structured fitness activity then you have to come visit one of our classes… you won’t regret it! Classes are non-tournament with no free sparring. Non-tournament styles can be enjoyed by everyone at every age at every fitness level and ability. Our adult program is packed with lots of fun physical exercises dedicated to improve focus, coordination, timing health and wellness. Out relaxed classes are fun and exciting and will provide you with a new sense of awareness and satisfaction. 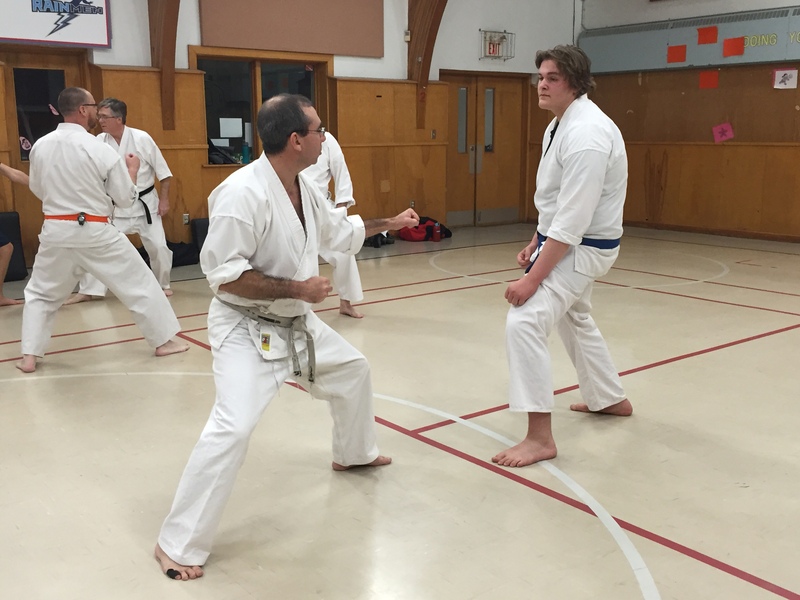 A karate gi (uniform) is not required for the first few months; a t-shirt and shorts or track pants is fine to start. We like to see our students with a gi by their second term with us, but it must be plain white, with no crests or insignia. As with many martial arts we practice in bare feet. No outside footwear is permitted in the dojo (training hall). This applies to both participants and observers.